Sports Business Boston: Liverpool to Come to Fenway, What About the Revolution? Liverpool to Come to Fenway, What About the Revolution? 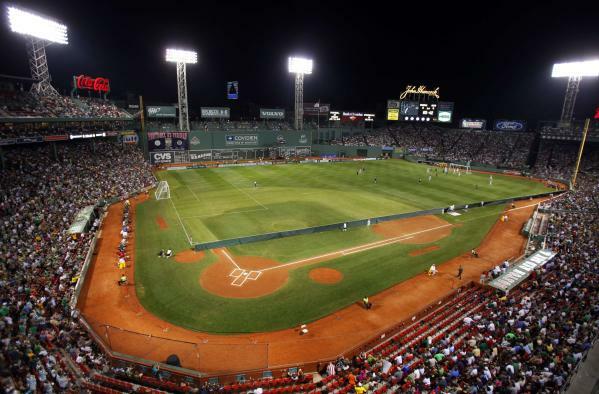 Soccer will once again return to Fenway Park this summer, as Liverpool takes on AS Roma on July 25. It is any New England soccer fan's dream to see a match at Fenway, but absent is the appearance of New England’s very own club, the Revolution, which are currently three games into their regular season. Even though Liverpool does have a Boston connection, a doubleheader with the hometown Revs would have made the occasion even more special for New England fans. Not to mention, additional opportunities for Fenway Sports Group to cash in on the extra revenue from a second game. From the Revolution’s standpoint, a game in front of potentially 37,000 fans would have been a great opportunity for the team to showcase their product. There would have been a lot of great advantages to adding a doubleheader to the Liverpool game, but having such an event take place would certainly have its complications in order to become a reality. Agreements would have to come from Fenway Sports Management and the Kraft Group, owners of the Revolution. Additionally, approval would be needed from Major League Soccer and Soccer United Marketing for everything from field conditions to broadcasting. The Fenway Park field would certainly be a concern to ensure a quality surface for a regular season game to be scheduled. And as for the soccer game to be played at Fenway July 25, it will definitely be an exciting occasion for soccer fans everywhere. But imagine if our Revs could be part of this event. It would be a great way for the Red Sox to truly capitalize on an already special day for soccer in New England. And furthermore, the Revolution would be able to reap the marketing benefits the Bruins enjoyed when they took over the ballpark for the 2010 NHL Winter Classic. It may be a long-shot, but having the Revs play at Fenway would be a great opportunity for all sides. Next year, let’s make it happen.